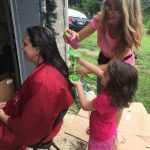 Last Saturday, July 29th, Trendsetters Salon of Clarksville sent a team to Jellico, Tennessee, with a friend Roxanna Lawdonski to serve locals preparing for back-to-school. 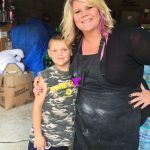 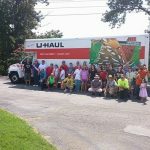 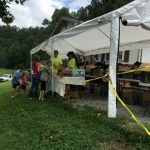 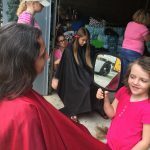 Roxanna has traveled from Clarksville with aid efforts for less fortunate folks in East Tennessee for the last five years, usually twice a year—the back-to-school season and Christmas season. 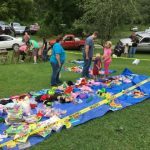 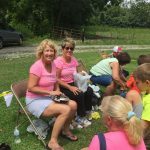 Her efforts began after a trip on which she noticed many of the local kids were either barefoot, wearing worn out shoes, or shoes that didn’t fit. 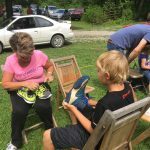 Now she runs a ministry she calls Jesus Shoes, where she takes up to 300 pairs of shoes at a time, along with socks and underwear, to the people of East Tennessee. 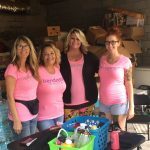 Two years ago, Roxanna brought the issue to Annette Myers, owner of Trendsetters Salon, to partner with her in a back-to-school shoe drive, which the salon was honored to participate in. 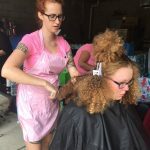 This year, however, Trendsetters took more than just shoes, they took four hair stylists to give free haircuts to kids going back to school this year. 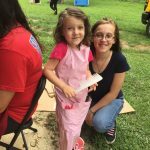 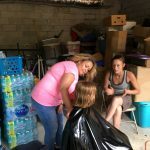 Roxanna, along with Trendsetters friends LeeAnn Brandon and Laura Vaden, fitted children with new shoes, while other teams of people from Tennessee gave out backpacks, school supplies, and clothing. 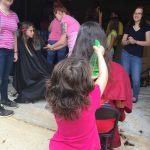 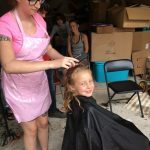 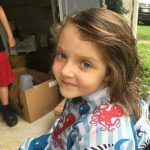 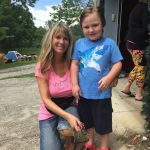 Hair stylists Anika Smith, Angie Cox, Teresa Lyon, and Annette Myers of Trendsetters Salon gave needy children of Jellico upscale salon treatment, and for many children, it was their first ever professional haircut. 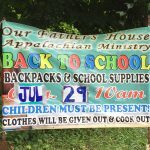 The team heard many stories on Saturday, of parents expressing need for school supplies, of broken homes, of addiction and incarceration, of children going barefoot after school to preserve the lives of school shoes. 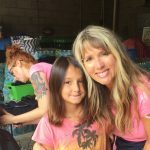 Most importantly, they met beautiful, sweet people who deserved to experience God’s love. 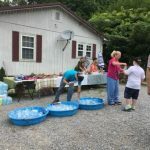 Trendsetters was happy to be a part of loving on our East Tennessee neighbors. 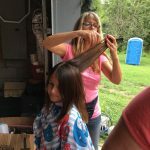 Trendsetters stylists also ended up giving haircuts to parents, allowing children to be their assistants by holding mirrors and spray bottles, and even donning aprons like the stylists. 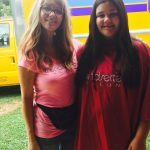 Teenagers gained new confidence. 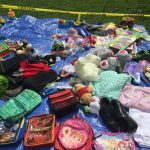 Children left feeling valued and joyful. 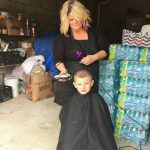 Trendsetters was the first salon to do back-to-school haircuts like this in the area, and they hope it becomes a trend for years to come.